I picked them up before Christmas as gifts for friends, and I ended up having to Santa-myself copies as well! I found them at Barnes & Nobles. Not as fun as Barney's, but a bit easier to find. Okay sweetheart, I love HAPPY CHIC COLORS!! I just ordered it about a week ago off amazon and LOVE, LOVE, LOVE it! 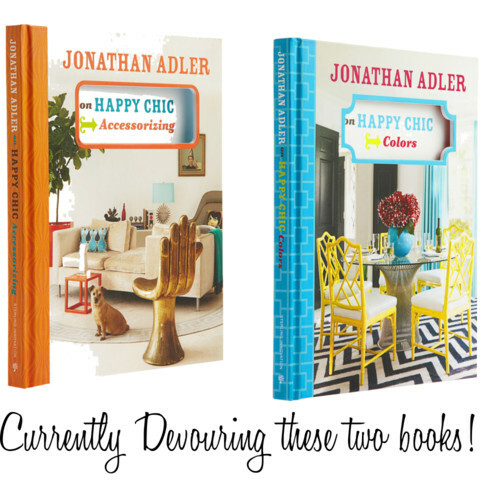 Jonathan Adler makes such magic combining all those colors. I need to get the accessories book, is it just as good? Have a great day dear!